Cargill, Minneapolis, is partnering with the National Center for Asphalt Technology (NCAT) in Opelika, Alabama, and the Minnesota Department of Transportation’s MnROAD program in Albertville, Minnesota, to determine how best to implement performance-engineered mix design procedures, especially in mixes containing rejuvenators and high levels of reclaimed asphalt pavement (RAP). The crew first milled the existing pavement on the track. Photo courtesy NCAT. Neumann said that results from the multi-year NCAT and MnROAD trials should help state agencies gain confidence in performance-based testing. 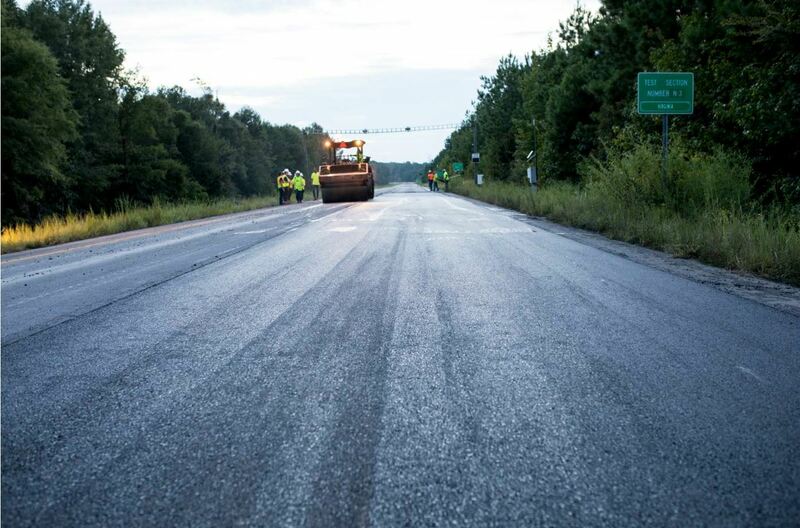 As part of the project, the researchers will compare blacktop made with Cargill’s Anova rejuvenator and a 45 percent RAP mix to control sections paved with a lower RAP mix, measuring factors such as pavement ride quality, cracking and rutting. By conducting parallel testing at both the NCAT test track and MnROAD test highway, scientists will be able to monitor results in both northern and southern climate extremes. Mix design began earlier this year, as researchers from both facilities conducted extensive laboratory analysis on pre-construction samples. In early September, NCAT will pave a 200-foot-long section of its 1.7-mile oval pavement test track with the Anova/high RAP mix. 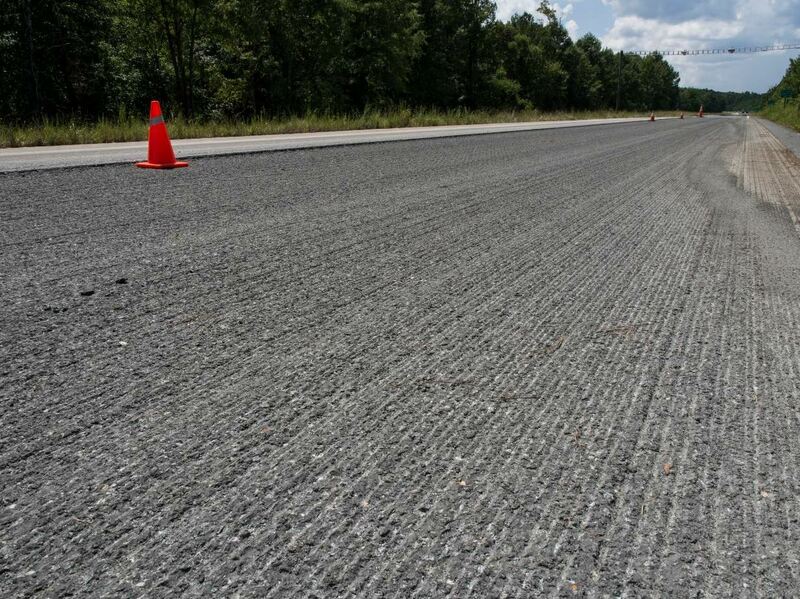 There, scientists will evaluate the performance-engineered asphalt mix using an accelerated pavement testing protocol, subjecting the section to 10 million equivalent single-axle loads (ESAL) or about 10 years’ worth of traffic, in only two years. 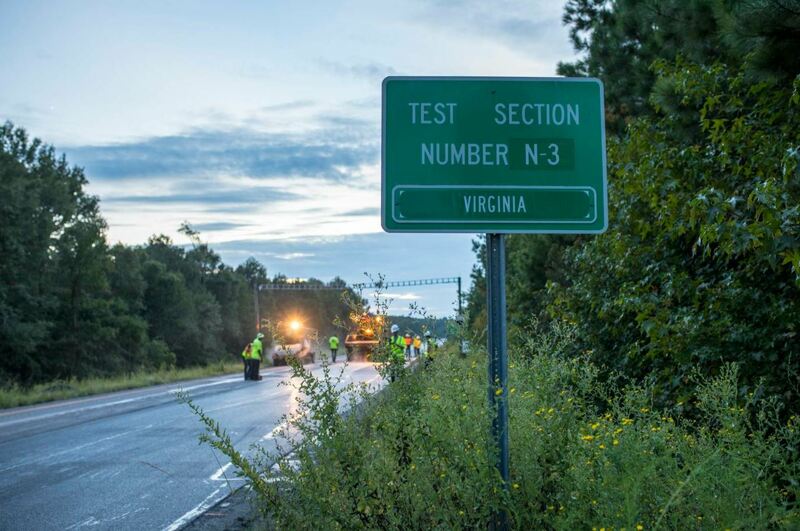 The NCAT test will be conducted in cooperation with the Virginia Department of Transportation. The MnROAD project, slated to begin the week of Sept. 17, will cover two approximately 500-foot sections of the test highway. It’s being done in conjunction with the Minnesota Department of Transportation, which owns and operates the testing facility, and CRH/Hard Drives. Both test locations will conduct ongoing laboratory testing and field monitoring as they work to use various performance-engineered design protocols, while also assessing potential practical quality control tests that can be used when constructing pavements using such designs. An SB25000 material transfer vehicle fed the mix to a Roadtec paver. Photo courtesy NCAT. The push for new performance-based evaluations comes as the industry faces growing pressure to increase infrastructure sustainability, while managing costs and improving durability. High RAP mixes, made possible by advances in rejuvenator technology, offer the potential to address all three of these key concerns. For example, Cargill’s Anova rejuvenator is specifically designed to rebalance aged asphalt and enable the recycled material to perform similar to virgin material. 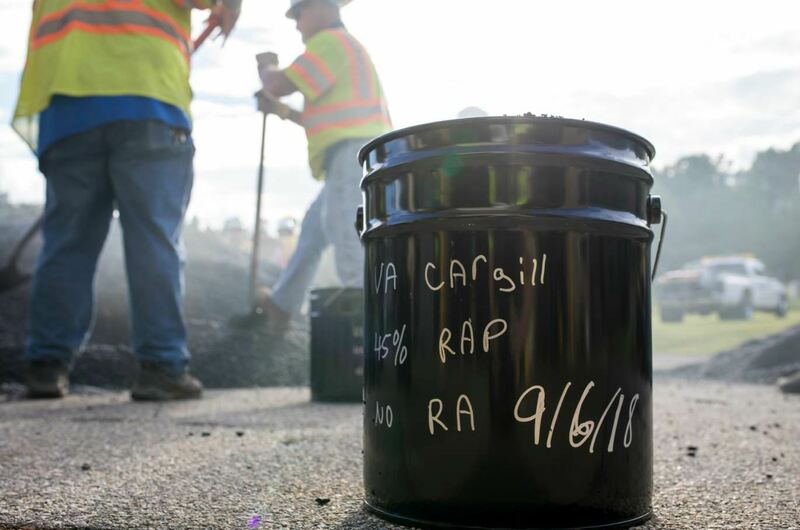 As a result, it’s possible to increase the amount of recycled content in the asphalt mix from today’s typical 20 to 30 percent RAP mix, up to 50 or even 100 percent RAP, without sacrificing performance or durability. The crew from East Alabama Paving placed and compacted the test and control section. Photo courtesy Cargill. 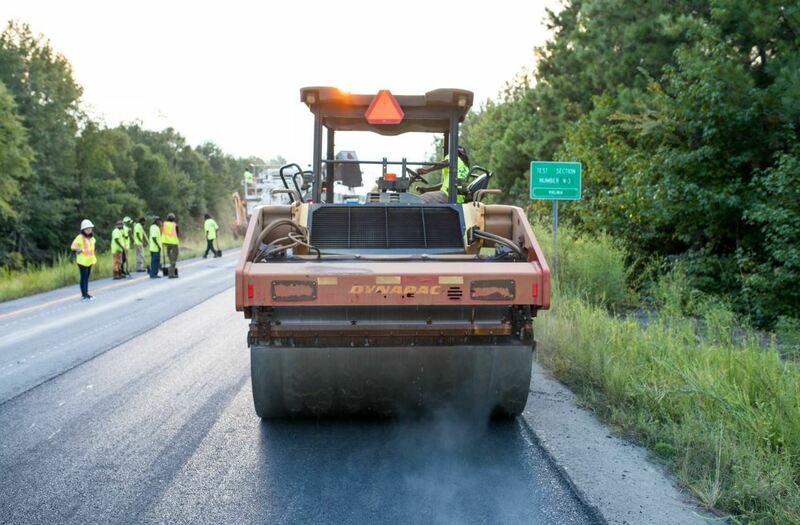 Increasing the recycled content by just 20 percent on a typical 5,000-ton resurfacing project saves 48 trucks of virgin aggregate, 1,000 tons of recycled asphalt storage costs, two trucks of liquid asphalt, along with the carbon emissions generated by all those trucks. 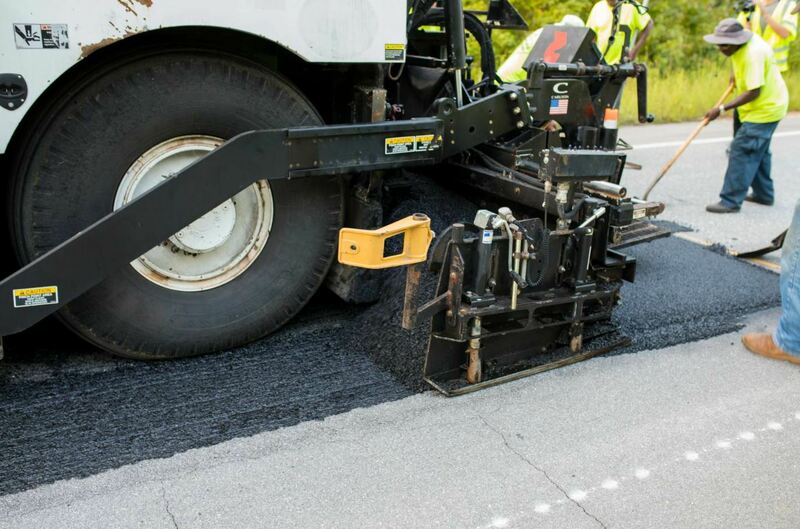 However, while these rejuvenator/high RAP asphalt mixes deliver on critical sustainability, cost-management and performance criteria, they don’t always meet long-standing, ingredient-based requirements. The test mix included Cargill’s Anova rejuvenator and 45 percent RAP. Photo courtesy Cargill.